ASUCR’s third meeting of the winter quarter took place Wednesday, Jan. 23 beginning at 6:33 p.m. The session was distributed into three sections: routine documentation approval and budget updates from Jan. 15 and Jan. 22 meetings; statements by ASUCR President Semi Cole regarding upcoming events and advice to the legislative branch; and progress reports by the majority of present senators. 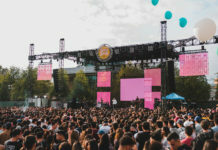 The reports revolved around food insecurity, legislation and events in support of marginalized groups within the community, textbook prices and the ‘UCR 2020’ strategic plan, the Office of the Chancellor’s strategy for expanding and improving UCR’s framework throughout the next decade. 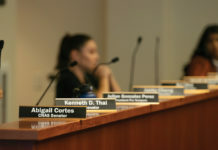 Both CHASS Senator Jackie Chang and CNAS Senator Josiah Davis were not present for the third consecutive week, with CNAS Senator Kenneth Vongdi also missing for the second week in a row. CHASS Senator Julian Gonzalez opened the new business section with a progress update on the Green Campus Action Plan’s (GCAP) recent grant extension of $4,000 to Husks-to-Home, a Bourn’s College of Engineering student group previously awarded $75,000 from the EPA to build homes in the Philippines. Senators then announced progress reports on both their responsibilities to their own committees and the Senate. CHASS Senator Mehvish Ali discussed the possibility of Uber discount codes for UCR students and also mentioned that the 2019 Beyond R’Margins conference, an annual conference focused on informing students of the diverse communities on campus, is in the planning stage of development. She also reported that departments in Costo Hall are suffering from restricted space. Focus then turned to CHASS Senator Avi Idea, who discussed how he was looking into improving the lighting of dark areas on campus via repairs or portable solutions, in addition to communicating that TAPS’ shuttle service is proving inefficient for many students, proposing that a meeting with TAPS be organized to address safety and congestion issues. BCOE Senator Sarah Al-Khalili encouraged her peers to attend the Muslim Student Association’s Feb. 10 outreach event, prior to CHASS Senator Chelsea Davenport explaining how she, along with many other senators, are brainstorming ways to support local victims of wildfires. CNAS Senator Andy Veliz reported that he is attempting to work with IT to address student concerns about WiFi outages, in addition to the dining concern that there are too few microwaves on campus. 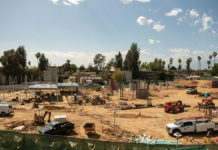 Finally, CNAS Senator Abigail Cortes shared thoughts on bringing the contents of the aforementioned ‘UCR 2020’ plan to the public eye, specifically in how parking and instruction congestion will be affected and addressed. In the public forum, Ali took the floor to express her intention to research California emergency grants to help combat food insecurity, in addition to proposing that non-student funding be used to initiate a daily R’Pantry like other UC Campuses. Gonzalez responded on his own progress working with OZZI to bring reusable plastic containers to campus. He hopes it will facilitate the idea to take dining hall foods with you when you leave, which he will propose in a Jan. 30 meeting with Assistant Vice Chancellor of Auxiliary Services Andy Plumley. Shortly after the senate reports concluded, Cole once again took to the podium to convey his advice and explain his frequent interjections and comments during the meeting: “It’s something that I’m going to start doing more often because, at the end of the day, it’s week three and this is our second quarter in office. Students are expecting not just updates but results on our path. It’s not enough for us to present on ideas, we need to present momentum on the ideas we are working on.” Cole went on to state that he “will be checking up on each of you (senators) … we’ve got to keep ourselves accountable and make sure we have victories for students at the end of the day.” The meeting was adjourned at 7:18pm. ASUCR meetings are open to the public, occurring every Wednesday at 6:30 p.m. in HUB 221.